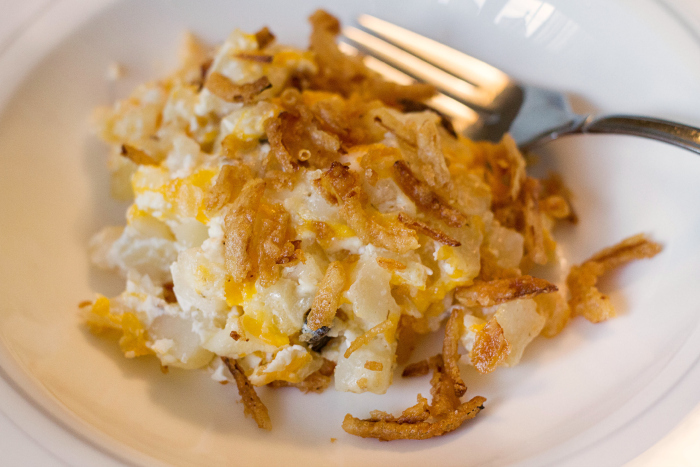 Hash Brown Casserole is one of those recipes that just makes you feel good! It’s versatile and very easy to make! (Just ask my kid) She loves making it with me and for me so SWEET!!! 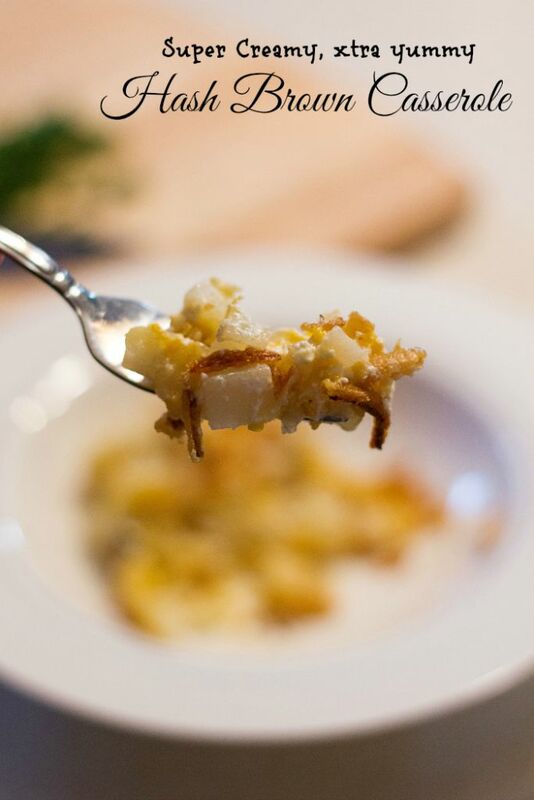 It takes just a few minutes to whip together and is easy as pie (wait a minute, pie is not easy) Ok let’s just say it’s as easy as…… mac-n-cheese in box….. wait a minute… not quite that easy!! Ok enough messing around today!! You are going to love this recipe and if you scroll down under the recipe you will find 8 wonderful variations to turn it into a complete meal. cream, 1 can cream of mushroom soup, 2 Cups shredded cheddar. 3. Spray cooking spray (or use butter) to grease a 13×9 baking dish. 4. Pour ingredients into baking dish. 5. Bake at 375 for 45 minutes. 3. Add 1 C Cooked Sausage, 1 Chopped Red Pepper, desired amount Fresh Spinach, Italian Seasoning. Yum! We have this at pretty much any family get together:) I love your variations! Yummers! This looks and sounds amazing! Thank you for sharing the recipe, and thank you bunches for linking up and partying with us this week! Hubby doesn’t like hash browns, but I LOVE them. I cannot wait to make this for myself! Pinned! I wouldn’t mind having two plates from this delicious hash brown! Again, thanks for coming and linking up at The Weekend Social. All posts get pinned in our pinterest board! Please be sure to come back next week starting Thursdays at 9PM EST on culinaryflavors.gr ! I hope to see you there! I saw this on the Tuesday Link party and had to come over and say thanks. I had a recipe like this years ago and lost it somehow. This is delicious and a great find for me. Pinned so I have it handy. Oh My! I love all the hash brown ideas! Definitely pinning! Hi there! I saw this at #Theweekendsocial link party! Congratulations on being featured and your recipe looks so easy and delicious! This looks good. You could have it often since there are so many different ways to prepare it! Thanks!